Smart cards come in variety formats and specification for each use case, in order to offer you the best solution for your need, we will evaluate your requirements before we offer you any products. To find out more contact us today. We also provide a high quality smart card printing solution worth discussing. Smart card technology comes into its own in a deployment where the data and/or value held by each cardholder is best residing on the card itself rather than in a networked system. Examples include ticketing applications and access control applications. Ecardz has experience in both designing and deploying smart card systems as well as supplying the cards and related infrastructure. Ecardz supplies both contact and contactless smart cards and can assist you in the decision making process and in launching of your smart card based system. Beside smart card printing we also provide NFC tags and NFC cards for smarter solutions. 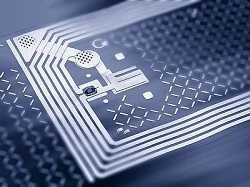 RF technology for identification and micropayment can be encapsulated in a number of different form factors. Most commonly used are ISO cards, these can be personalised in much the same way as any other plastic card and are thus very useful. However your deployment may call for something different and Ecardz supplies this technology as keyfobs, wristbands, labels and even as cute phone and card accessories. Let us know your requirements. Our cards and tags come in a number of different chip formats, and if you are just launching we can certainly make some recommendations. Readers are also available if required. Smart cards are very versatile, give us a call today to discuss your needs.